Follow the “Downloading” section under “Set Me Up!” to configure box resolution for downloading Vagrant boxes, and be able to enjoy automatic box update during ‘vagrant up’ a box either by an explicit call to ‘vagrant box update’. That’s it, now you can benefit from all the power behind Bintray distribution: CDN, stats, logs, version notifications and more. 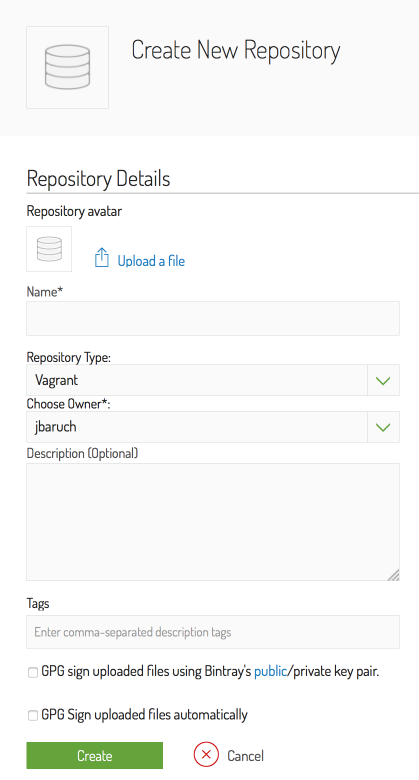 So give it a try, put a box or two on JFrog Bintray today!